Some of you may know already that I grew up in Israel and after finishing my high school went to Switzerland to study hotel management. That was over 10 years ago and many things have changed since in Israel and I am positively surprised that Israel is raising its profile in the international start-up scene. Over the past few years I heard about Israeli start-ups making it to the international scene and event start-ups in particular. You might have heard of Evolero, a registration and ticking platform which I use for #EventPlannersTalk events, Wix, a website building platform which got international publicity thanks to their Super Bowl 2016 commercial and this year’s Advertising Week Europe hosted a panel of Israeli advertising professionals to discuss the local advertising scene. I recently discovered Zoliro, founded by Maayan Levy and launched to the international market. Curious to know about the raising event start-up scene in Israel, I interviewed Maayan about Zoliro and what makes Israel a start-up nation. 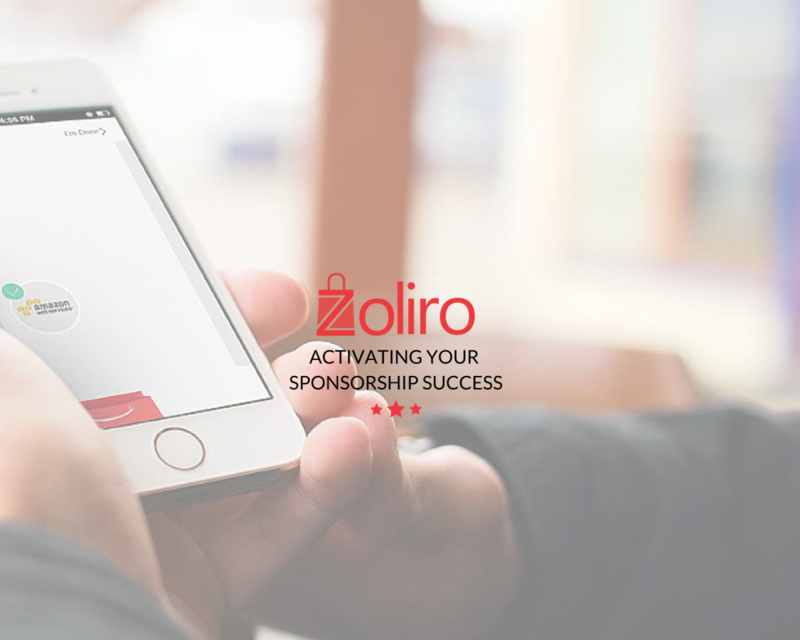 Zoliro activates sponsorship success for event professionals by connecting attendees with targeted offers from event sponsors through a smart, engaging and effective mobile experience. Zoliro is a significant tool event professionals use to entice and retain sponsors with a digital event bag that increases sponsor visibility, drives higher positive attendee engagement and generates many more qualified leads. Our mission is to make event marketing an effective, result-driven, attendee-focused experience, bringing together the best of both physical and digital marketing. How did you come up with the idea to create the platform? We had the experience of organizing events for an association we are a part of. Our events always gathered great audiences which was very attractive for a lot of different brands. Despite that, we’ve always found that managing sponsors’ expectations and getting them to take part and come back for the next event was the biggest challenge. The research we conducted taught us that many event organizers share the same pain. Our team of founders come from a technological background, and we knew there must be a better way to demonstrate the value to sponsors. We took more than a year to work closely with other event organisers and their sponsors to come up with Zoliro as is it now. It took us months and dozens of events to make Zoliro the effective, successful tool that it is today. With a visibility rate of +90%, positive engagement of +70% and in most cases more than +20% of event attendees become qualified leads for each sponsor, we’re very proud of the value it provides sponsors and event organisers. What were the challenges setting up the business? Starting a business is never easy, it’s an amazing journey and I must admit that my partners and our early investors made it a little easier. The most amazing thing about it is bringing a product to life – from an early idea to a mature, working product (that looks nothing like the early idea that it was). I assume most entrepreneurs will share this feeling. For us, though, the main challenge was the fact that Israel’s event scene is not a large enough market for a business like ours. Our first events were in Israel, and it was very important and enlightening to see attendees use Zoliro with our own eyes and meet with our event partners and their sponsors face to face. When we felt it was mature enough we started reaching out to the North American and European markets – our target markets – and that has been a real challenge. Getting familiar with new markets, understanding the opportunities, competition and state of mind, takes time. It also takes a lot of patience, being open-minded, humble and always in learning mode. What, in your opinion makes Israel a start-up nation? 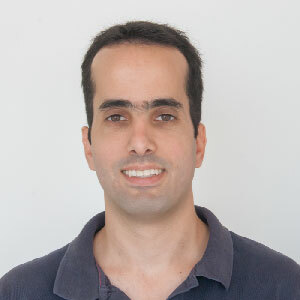 Our team is the classic example of an Israeli start up team. 3 Alumni of an Israel Defense Forces (IDF) elite technology unit with real passion for creating new products and all have strong tech capabilities. It’s a huge advantage when it comes to product development and a lot of Israeli start-ups make their first steps with a strong product. We later added talented marketing and sales people to support the team of founders with other relevant expertise. There is also the aspect of problem solving. When you get your professional education and experience in a place like the army, tasks simply can’t fail. There is a problem that requires a solution, most of the time quickly, with limited resources and it must still work. You learn that you can deal with huge challenges, teach yourself almost anything, but also that failing is OK as long as it’s another step in the road to success. On top of all this there is a vibrant startup scene here and a strong community, formal and mostly informal, that supports and pushes companies to success. What do you think about the current event scene in Israel? How fast is it growing? The events scene in Israel is rather small and local, but very vibrant and advanced. To begin with, Israeli events are very open to new ideas, attractions and technologies and we see that in private events such as weddings as well as in bigger conferences and shows. There is also the rapidly growing smaller events scenes. Hundreds of groups that organise small weekly or monthly events that attract dozens of participants to each meeting. In that sense, the Israeli market was, and still is, a very good beta site, as organisers are very approachable and open to testing innovative approaches to reaching their goals. There also seem to be a strong correlation between the results in Israel and the overall results we see oversees in our target markets. Where (in which markets) do you see growth opportunities? Geographically speaking, we currently operate in Europe and the United States and plan to keep our focus there for the time being. We do see a big (and growing) opportunity in other markets such as the Asian market, more specifically China and India, and are working on our first partnerships that will allow us to present Zoliro to event partners there as well. Brazil also represents an interesting opportunity, being one of the fastest growing markets in the events space and we make sure to keep an eye on opportunities that exist there on an ongoing basis. In addition, until now our focus was mainly on conferences, trade shows and other B2B events. We see great value for Zoliro in consumer and entertainment events such as sports and music events and even sales and shopping events in shopping centers, and are taking our first steps with first partners in those directions as well.